Nielsen has discovered more people are tuning in to online video than they were in 2014. In its quarter two “Total Audience Report” for 2015, the data and TV analytics firm found digital video use rose 19% year-over-year. 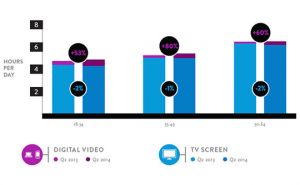 Nielsen tracked media use on smartphones, tablets, and desktop computers by U.S. adults over the age of 18 in the month of May 2014 and then again in all of May 2015. The almost 20% increase in online video use stems from a few growth areas, like a 38% increase in digital video use between the hours of 5 AM and 8 AM. Additionally, Nielsen found almost 700,000 more U.S. adults tuned in to online video at the 9 PM hour than last year. And unsurprisingly, Nielsen found adults spent more time per week watching video on their smartphones than they did in 2014. That year, Americans over the age of 18 viewed video on their phones roughly 11 minutes per week on average. In 2015, Nielsen found this same demographic was watching 15 minutes of video per week. 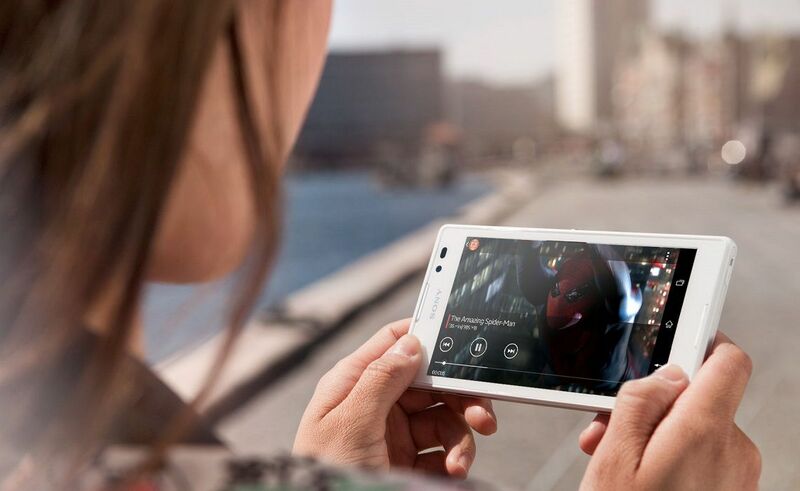 And in general, the TV ratings firm found smartphone and tablets are taking up a greater share of devices used to watch online video each year. You can download the Q2 2015 “Total Audience Report” by visiting Nielsen’s site and entering your information for the free download.